Your welcome to explore Tanzania’s people and their cultures below here is our Cultural packages normally combine Game drive and walking safari. Some highlights and place of interest are Tarangire National Park, the Empakai and Olmoti Craters which is the sole active volcano of Tanzania. OldonyoLengai and the Lake Natron at its huge populations of flamingos and a beautiful waterfall that it can offer. You will explore the wilderness on game drives by car and great chance to proceed exploring the nature by foot. You will have plenty of opportunities to meet different ethnical groups and guaranteed satisfactory tour you will be fascinated by their knowledge of the nature, culture and traditional mode of their living. All overnights on Safari in tents. Choose one of the below Cultural tour safari itineraries and click on the one that you feel will suit your need best. 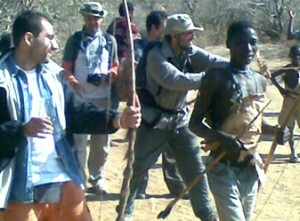 6Day: Tanzania Hadazabe bushmen Cultural experience. Take a journey into the “Gods must be crazy” movie. The Hadzabe tribe of Tanzania is the last true nomads of Africa. Eco & Culture Tours can take you on an amazing adventure with the Hadzas. You will join the men as they hunt for their daily subsidence using traditional Bow and arrows, or join the women as they forage for fruits and berries. This is not a show or a “tourist put on”. This is the real deal. A true African cultural experience, not for the faint of heart which awaiting you. 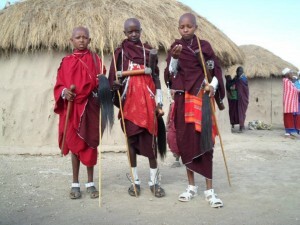 11Day: Tanzania Maasai Cultural experience. This tour brings you to a real Maasai village on your northern route safari,where you will be exposed to all aspects of their lifestyle and invited to participate in a traditional dance.Traditional Maasai lifestyle centers around their cattle which constitutes the primary source of food. The measure of a man’s wealth is in terms of cattle and children. A herd of 50 cattle is respectable, and the more children the better. A man who has plenty of one but not the other is considered to be poor.